Ten years ago, on February 14, pak192.comic was first published in a playable version. Happy Anniversary! Now, if the team was any good at planning for such an event, there would probably be a new pakset version by now. But we thought of a different gift that was long overdue. Pak192.comic is now on a public repository on github! Please do not take this as a full release. This is merely what we are working on right now, it might not be fully compatible with the last release, and the next release or any future snapshot may not be compatible with this. Do not use this for long-term games unless you are willing to troubleshoot with each update yourself. Special remarks for a certain building. 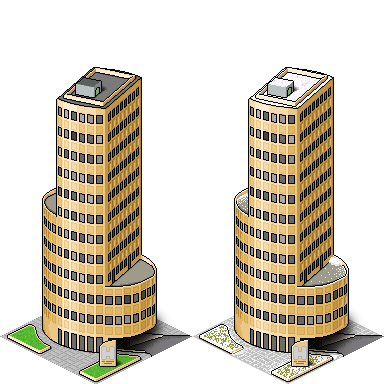 In 2009, "Moistboy" painted a skyscraper, but back then, there were still issues with file size so it never made it into the pakset. It was clearly ahead of it's time, as I didn't do too much to update it for what pak192.comic is today. 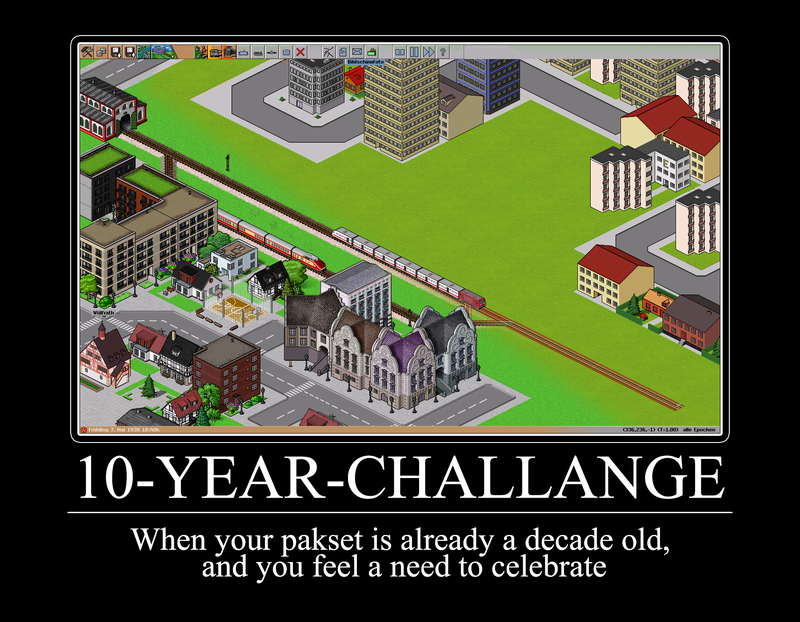 Congratulations on ten years! How can the time have gone so quickly?